The method that you choose for verification is up to you, and may depend on your CMS & hosting providers. If you want to be sure that changes on your side don’t result in an accidental loss of the verification status, you may even want to consider using two methods in parallel. Back in 2009, we updated the format of the verification meta tag and file. If you’re still using the old format, we recommend moving to the newer version. The newer meta tag is called “google-site-verification, and the newer file format contains just one line with the file name. While we’re currently supporting ye olde format, using the newer one ensures that you’re good to go in the future. When removing users’ access in Webmaster Tools, remember to remove any active associated verification tokens (file, meta tag, etc.). Leaving them on your server means that these users would be able to gain access again at any time. You can view the site owners list in Webmaster Tools under Configuration / Users. If multiple people need to access the site, we recommend using the “add users” functionality in Webmaster Tools. This makes it easier for you to maintain the access control list without having to modify files or settings on your servers. Also, if multiple people from your organization need to use Webmaster Tools, it can be a good policy to only allow users with email addresses from your domain. By doing that, you can verify at a glance that only users from your company have access. Additionally, when employees leave, access to Webmaster Tools is automatically taken care of when that account is disabled. Consider using “restricted” (read-only) access where possible. Settings generally don’t need to be changed on a daily basis, and when they do need to be changed, it can be easier to document them if they have to go through a central account. We hope these tips help you to simplify the situation around verification of your website in Webmaster Tools. For more questions about verification, feel free to drop by our Webmaster Help Forums. Today, we're offering webmasters a simpler alternative: Data Highlighter. At initial launch, it's available in English only and for structured data about events, such as concerts, sporting events, exhibitions, shows, and festivals. We'll make Data Highlighter available for more languages and data types in the months ahead. Update 19 February 2013: Data Highlighter for events structured markup is available in all languages in Webmaster Tools. 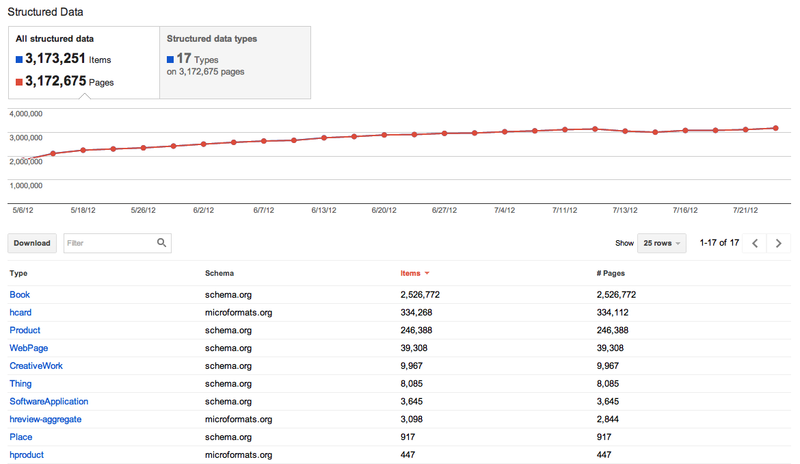 Update 2: You can see the full list of schemas supported in Data Highlighter here. If your page lists multiple events in a consistent format, Data Highlighter will "learn" that format as you apply tags, and help speed your work by automatically suggesting additional tags. Likewise, if you have many pages of events in a consistent format, Data Highlighter will walk you through a process of tagging a few example pages so it can learn about their format variations. Usually, 5 or 10 manually tagged pages are enough for our sophisticated machine-learning algorithms to understand the other, similar pages on your site. When you're done, you can review a sample of all the event data that Data Highlighter now understands. If it's correct, click "Publish." From then on, as Google crawls your site, it will recognize your latest event listings and make them eligible for enhanced search results. 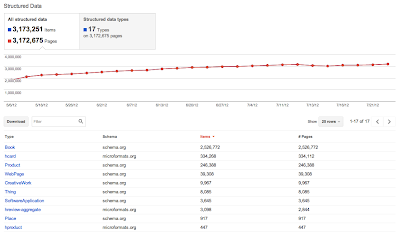 You can inspect the crawled data on the Structured Data Dashboard, and unpublish at any time if you're not happy with the results. To get started with Data Highlighter, visit Webmaster Tools, select your site, click the "Optimization" link in the left sidebar, and click "Data Highlighter". available) to provide more information about the URL Parameters feature in Webmaster Tools. The URL Parameters feature is designed for webmasters who want to help Google crawl their site more efficiently, and who manage a site with -- you guessed it -- URL parameters! 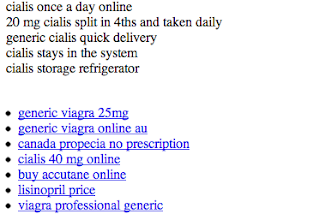 To be eligible for this feature, the URL parameters must be configured in key/value pairs like item=swedish-fish or category=gummy-candy in the URL http://www.example.com/product.php?item=swedish-fish&category=gummy-candy. Guidance for common cases when configuring URL Parameters. Music in the background masks the ongoing pounding of my neighbor’s construction! URL Parameter settings are powerful. 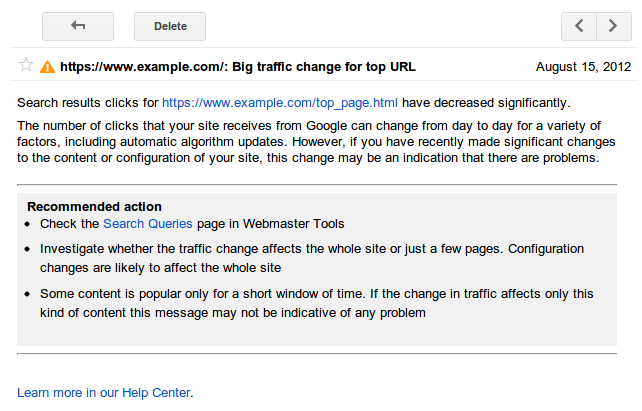 By telling us how your parameters behave and the recommended action for Googlebot, you can improve your site’s crawl efficiency. On the other hand, if configured incorrectly, you may accidentally recommend that Google ignore important pages, resulting in those pages no longer being available in search results. (There's an example provided in our improved Help Center article.) 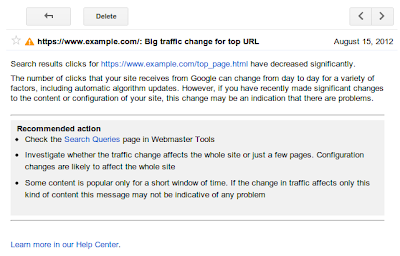 So please take care when adjusting URL Parameters settings, and be sure that the actions you recommend for Googlebot make sense across your entire site. We recently filmed a video (with slides available) to provide more information about the URL Parameters feature in Webmaster Tools. The URL Parameters feature is designed for webmasters who want to help Google crawl their site more efficiently, and who manage a site with -- you guessed it -- URL parameters! To be eligible for this feature, the URL parameters must be configured in key/value pairs like item=swedish-fish or category=gummy-candy in the URL http://www.example.com/product.php?item=swedish-fish&category=gummy-candy. is when you try out different versions of your website (or a part of your website), and collect data about how users react to each version. You use software to track which version causes users to do-what-you-want-them-to-do most often: which one results in the most purchases, or the most email signups, or whatever you’re testing for. After the test is finished you can update your website to use the “winner” of the test—the most effective content. A/B testing is when you run a test by creating multiple versions of a page, each with its own URL. When users try to access the original URL, you redirect some of them to each of the variation URLs and then compare users’ behaviour to see which page is most effective. 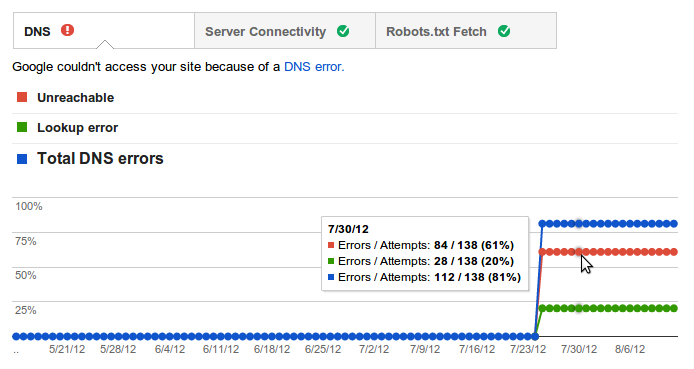 So how does this affect what Googlebot sees on your site? Will serving different content variants change how your site ranks? 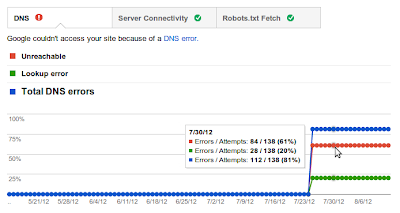 Below are some guidelines for running an effective test with minimal impact on your site’s search performance. Cloaking—showing one set of content to humans, and a different set to Googlebot—is against our Webmaster Guidelines, whether you’re running a test or not. Make sure that you’re not deciding whether to serve the test, or which content variant to serve, based on user-agent. An example of this would be always serving the original content when you see the user-agent “Googlebot.” Remember that infringing our Guidelines can get your site demoted or removed from Google search results—probably not the desired outcome of your test. If you’re running an A/B test with multiple URLs, you can use the rel=“canonical” link attribute on all of your alternate URLs to indicate that the original URL is the preferred version. We recommend using rel=“canonical” rather than a noindex meta tag because it more closely matches your intent in this situation. Let’s say you were testing variations of your homepage; you don’t want search engines to not index your homepage, you just want them to understand that all the test URLs are close duplicates or variations on the original URL and should be grouped as such, with the original URL as the canonical. Using noindex rather than rel=“canonical” in such a situation can sometimes have unexpected effects (e.g., if for some reason we choose one of the variant URLs as the canonical, the “original” URL might also get dropped from the index since it would get treated as a duplicate). The recommendations above should result in your tests having little or no impact on your site in search results. However, depending on what types of content you’re testing, it may not even matter much if Googlebot crawls or indexes some of your content variations while you’re testing. Small changes, such as the size, color, or placement of a button or image, or the text of your “call to action” (“Add to cart” vs. “Buy now!”), can have a surprising impact on users’ interactions with your webpage, but will often have little or no impact on that page’s search result snippet or ranking. In addition, if we crawl your site often enough to detect and index your experiment, we’ll probably index the eventual updates you make to your site fairly quickly after you’ve concluded the experiment. To learn more about website testing, check out these articles on Content Experiments, our free testing tool in Google Analytics. You can also ask questions about website testing in the Analytics Help Forum, or about search impact in the Webmaster Help Forum. Website testing is when you try out different versions of your website (or a part of your website), and collect data about how users react to each version. You use software to track which version causes users to do-what-you-want-them-to-do most often: which one results in the most purchases, or the most email signups, or whatever you’re testing for. After the test is finished you can update your website to use the “winner” of the test—the most effective content. and Google Apps you must verify that you own the site or domain. One way you can do this is by creating a DNS TXT record to prove your ownership of the domain. Now you can also use DNS CNAME records to verify ownership of your domains. This is a new domain verification option for users that are not able to create DNS TXT records for their domains. For example, if you own the domain example.com, you can verify your ownership of the domain by creating a DNS CNAME record as follows. Add the domain example.com to your account either in Webmaster Tools or directly on the Verification Home page. Select the Domain Name Provider method of verification, then select your domain name provider that manages your DNS records or "Other" if your provider is not on this list. Based on your selection you may either see the instructions to set a CNAME record or see a link to the option Add a CNAME record. Follow the instructions to add the specified CNAME record to your domain’s DNS configuration. When you click Verify, Google will check for the CNAME record and if everything works you will be added as a verified owner of the domain. Using this method automatically verifies you as the owner of all websites on this domain. For example, when you verify your ownership of example.com, you are automatically verified as an owner of www.example.com as well as subdomains such as blog.example.com. Sometimes DNS records take a while to make their way across the Internet. If we don't find the record immediately, we'll check for it periodically and when we find the record we'll make you a verified owner. To maintain your verification status don’t remove the record, even after verification succeeds. If you don’t have access to your DNS configuration at your domain name provider you can continue to use any of the other verification methods, such as the HTML file, the meta tag or Google Analytics tag in order to verify that you own a site. If you have any questions please let us know via our Webmaster Help forum. In order to use Google services like Webmaster Tools and Google Apps you must verify that you own the site or domain. One way you can do this is by creating a DNS TXT record to prove your ownership of the domain. Now you can also use DNS CNAME records to verify ownership of your domains. This is a new domain verification option for users that are not able to create DNS TXT records for their domains.